Jeannine joined First Capital Advisors in July 2015 as the Managing Broker/ Property Controller. Jeannine brings over 30 years of experience in real estate management and is responsible for financial reporting and property specific accounting for our retail and multifamily properties solely managed by FCA. Jeannine is the owner of Leyden Enterprises, a company that provides financial management services to commercial and residential property owners. Her past clients include: John Pope and Associates, Life Care Services, Encore Senior Living, LCOR Incorporated, Revere Healthcare, and Oberon Development. Jeannine worked as a contractor with First Capital Advisors since 2014 and was brought on as a full-time employee in July of 2015. 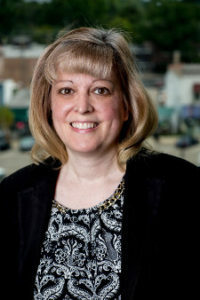 Before establishing her own business, Jeannine was the asset manager for Cohen Realty Services where she was responsible for maximizing performance of a mixed-use commercial property portfolio including retail, office, and industrial buildings with square footage ranging from 500,000 to 1.9 million sf. Jeannine’s years of experience, immense knowledge in accounting, and her understanding of business operations not only helped create a financial system for FCA, but will continue to play a key role in the growth of the company.